The belt grinding and polishing machines of the SMZ 57 series are versatile with their different motor outputs. The SMZ 57 series is a universal machine for industrial use due to its double-sided design with optional combination of belt grinding and polishing, belt grinding only or polishing only. The divided spindle shafts of the machine are the highlight, so that three different speeds can be preset for each shaft via a V-belt drive. Standard abrasive belts with a length of 3,500 mm and a maximum width of 100 mm can be used on the machine. The maximum dimensions of the Picard contact wheels are Ø 450 x 100 mm with a bore of 35 mm. The stable design of the SMG 57 series ensures continuous, vibration-free operation during the machining process. 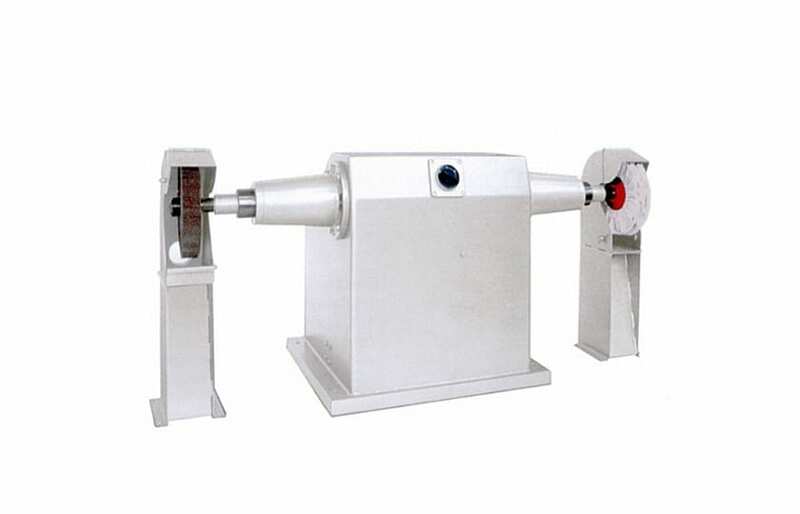 The belt grinding and polishing machine can be equipped with a low column (600 mm) and a high column (1,000 mm) of the stand. Machine is always supplied in double-sided design. On customer request one side can be made “blind”. Thus, there is always a cost-effective and fast extension possibility available. The SMZ 57 series is equipped with a motor integrated in the stator and has split spindle shafts. Each spindle shaft can be set to 3 speeds in the range of 1,200 rpm and 3,500 rpm. These settings can be different. The vertical arrangement of the belt guide and the belt protection hoods results in a very space-saving design, which makes it possible to set up several machines in a very confined space. The extensive range of accessories offers you the possibility of quick conversion to other applications. The fast belt tensioning allows a quick and easy change of the abrasive belt. This allows the machine to be changed over to other abrasive belts in the shortest possible time. To ensure the safety of our machines, all are equipped with motor protection and undervoltage release. Protective devices and steel protective hoods comply with the latest regulations and are constantly checked. Legal conformity is a matter of course for us and has just as high a priority as the long-term, targeted and high manufacturing quality of our products.